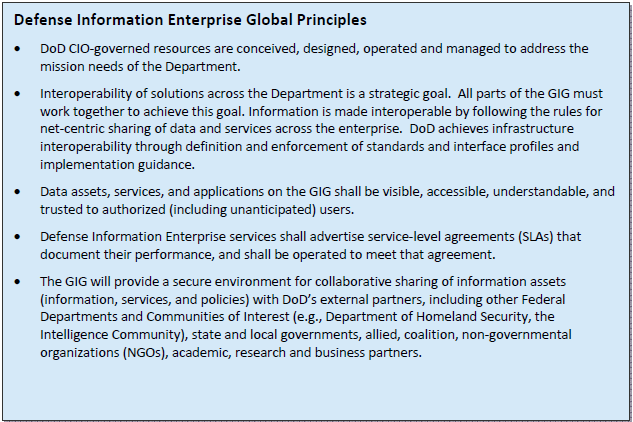 Processes including risk management, associated with managing information to accomplish the DoD mission and functions. Activities related to designing, building, populating, acquiring, managing, operating, protecting and defending the information enterprise. Related information resources such as personnel, funds, equipment, and information technology, including national security systems. An Enterprise Architecture which describes the “current architecture” and “target architecture,” and provides a strategy that will enable an agency to transition from its current state to its target environment. 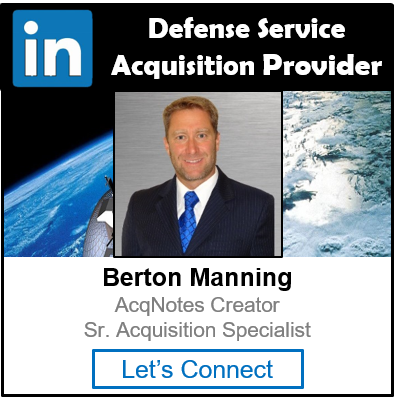 The DoD Information Enterprise Architecture (IEA) which provides a common foundation to support accelerated DoD transformation to net-centric operations and establishes priorities to address critical barriers to its realization. A rich information sharing environment in which data and services are visible, accessible, understandable, and trusted across the enterprise. An available and protected network infrastructure (the GIG) that enables responsive information-centric operations using dynamic and interoperable communications and computing capabilities. Program Managers (PM) and Sponsors/Domain Owners should use this vision to help guide their acquisition programs.